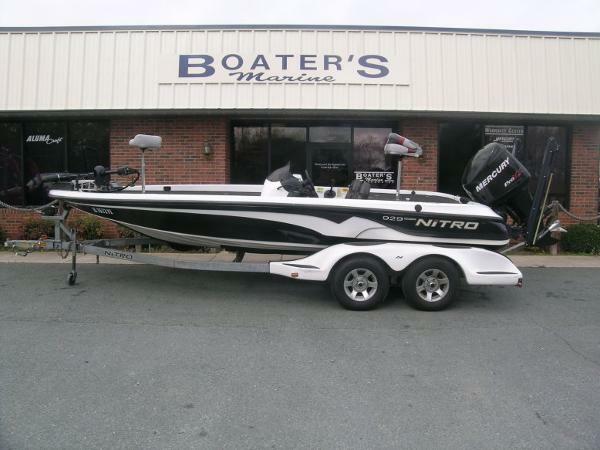 2005 Nitro 929 CDX 2005 Nitro 929 CDX powered by Mercury 225 Optimax (192 hours) with Motor Guide Tour Edition 36 Volt Trolling Motor, Recessed Pedal, Humminbird 597 @ Console, Lowrance Mark-5x Pro @ Bow, Hot Foot, Trim @ Wheel, Tilt Steering, Jack Plate, Keel Protector, On Board Charger & Nitro Tandem Trailer w/ Swing Away Tongue, Brakes & Matching Spare. 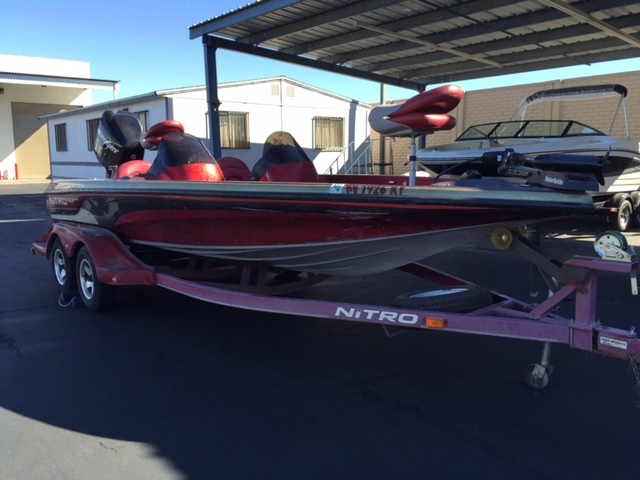 One owner, good clean boat!! Thank you for your interest!! 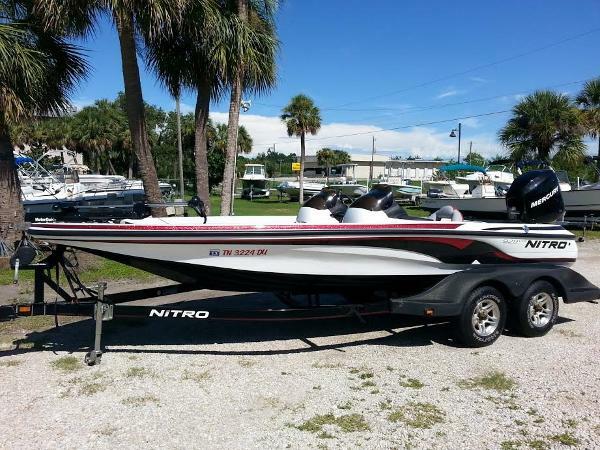 The all-composite construction with the PerforMAX hull starts off a long list of quality features on the Nitro 929 CDX, such as: a 96-inch beam for an extra-wide front deck, hydraulic tilt steering, and a deeper split-level cockpit for landing fish. The 929 CDX also comes with standard features like lighted compartments, a Zercom LCD flasher, an adjustable jackplate, an onboard charger, and much more. As for stability - this boat handles rough water with ease. 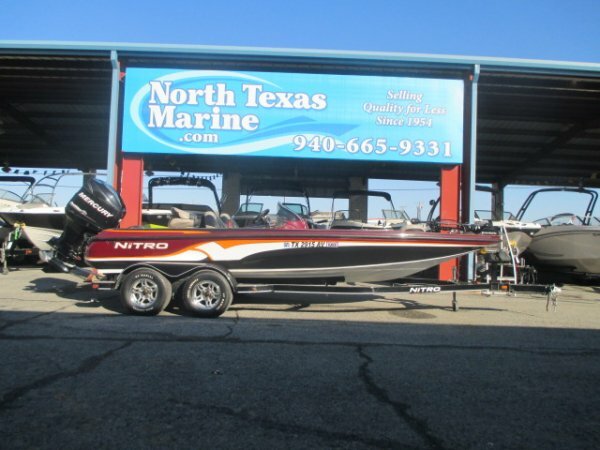 2006 Nitro 929CDX 2006 Nitro 929CDX 21-ft with Mercury Optimax 200-HP. 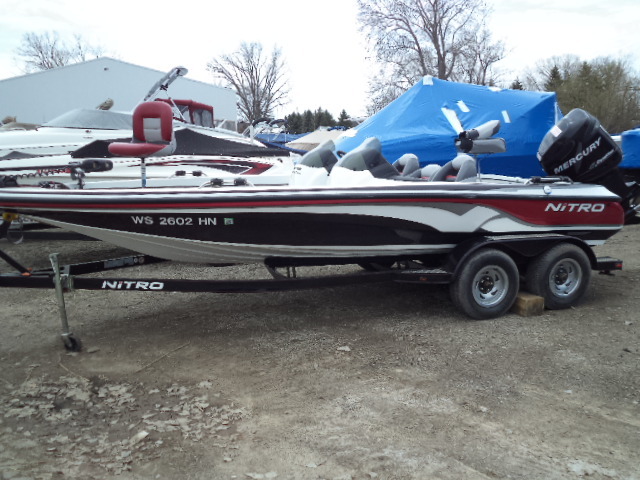 This boat is in like-new condition. Only used 4 or 5 times. Never in saltwater or launched in saltwater. Less than 80 hours. 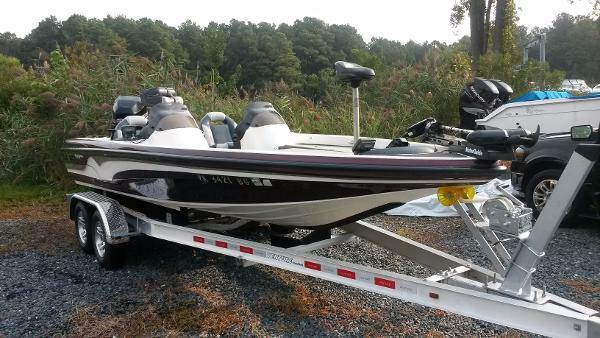 Every option available---GPS, fish finder, jack plate, custom covers, and all manuals. Must see! 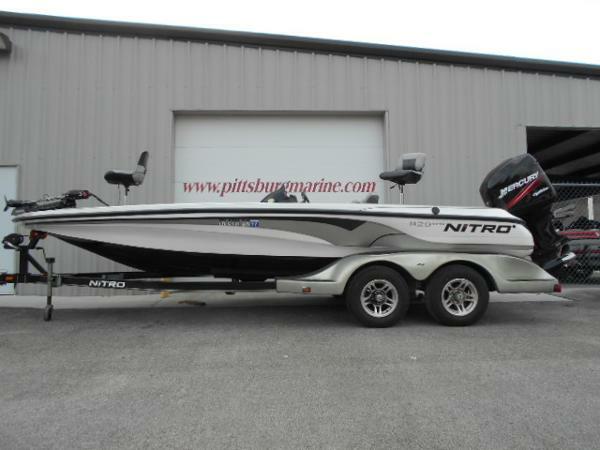 2008 NITRO 929 CDX, NEARLY 21 FEET OF AWESOME POWERED BY A 225 HP MERCURY OPTIMAX. A 4 PERSON CAPACITY (2000 LB CAPACITY) AND WET STORAGE GALORE. THERE IS A LOWRANCE LMS 520c AT THE HELM AND A LOWRANCE x51 AT THE BOW BESIDE THE MOTORGUIDE 70LBS THRUST TROLLING MOTOR WITH FOOT CONTROLLER. THE CUSTOM TRAILER SEEN HERE IS INCLUDED IN THE PRICE AND HAS A SWING-A-WAY HITCH FOR CONVENIENT STORAGE. 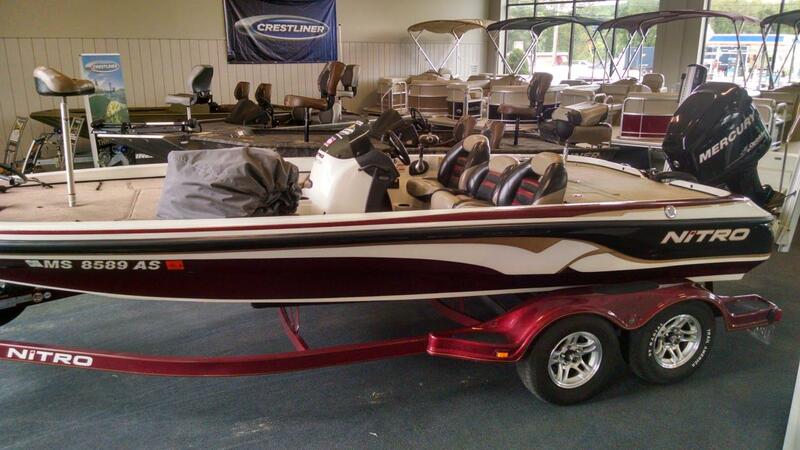 THIS BOAT COMES WITH A FULL CUSTOM COVER AS WELL.YOU WON'T FIND A NICER ONE AT THIS PRICE!! 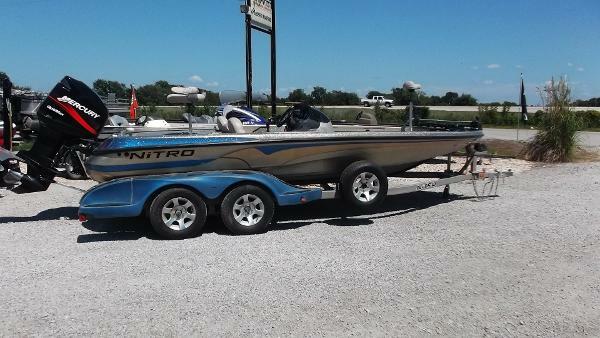 2008 Nitro 929 CDX, Gently used & adult owned, never tournament fished. Well taken care of an clean boat. Put this on the need to see list. Trades considered.